This amulet aids in good health, luck and prosperity. 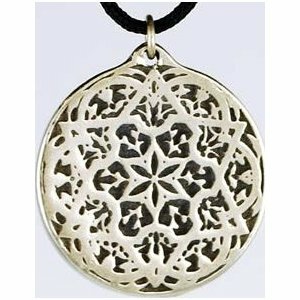 It carries the Seal of Solomon on it is 3/4 of an inch in diameter. The amulet comes with a cord so that is may be worn as a necklace.